Star Wars: Episode IX is said to be a “course correction” movie for Lucasfilm, but it’s not in the way some fans might think. The galaxy far, far away experienced its fair share of ups and downs in the past year. The Last Jedi, while a critical and commercial success, proved to be extremely polarizing within the fan base. And this summer’s Solo: A Star Wars Story infamously became the franchise’s first box office failure, throwing Lucasfilm’s future plans into a state of flux. In the wake of Solo underperforming, anthologies about other classic characters (like Boba Fett) are on hold as the studio focuses on other projects. Through all of this, Episode IX remains on course for its December 2019 premiere, beginning production back in August under the direction of J.J. Abrams. With the Force Awakens helmsman returning to finish what he started, many are curious to see how he’ll conclude the story – especially after The Last Jedi threw numerous curve balls at the audience. Reports indicating Episode IX is seen as a course correction for the property conjure up images of Return of the Jedi 2.0 – a safe, fan-service film designed to be a crowdpleaser. However, a close analysis of the situation reveals something else. Vocal corners of the fan base expressed their displeasure with The Last Jedi, but Lucasfilm seemed very happy with the way it turned out. 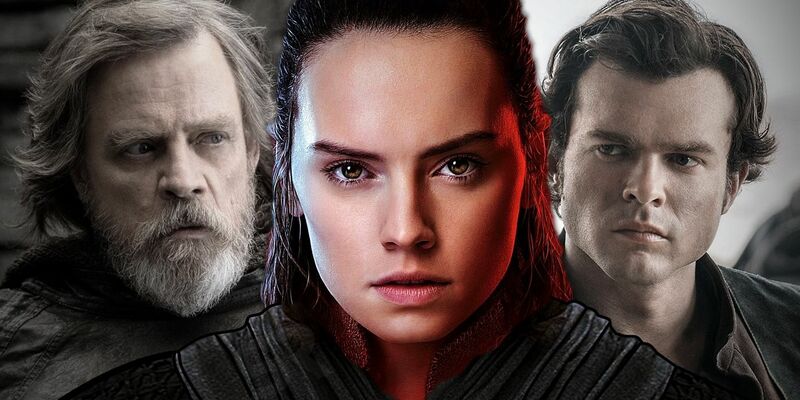 Before Episode VIII hit theaters, the studio announced plans for Rian Johnson to develop an all-new Star Wars movie trilogy that tells a story separate from the Skywalker saga. If Kathleen Kennedy had any reservations about Last Jedi and Johnson’s creative choices, she wouldn’t have green lit Johnson’s pitch. And while unsubstantiated rumors claimed The Last Jedi’s divisiveness killed Star Wars and the Johnson Trilogy, Johnson himself has stated he’s still developing it. He’ll dive deeper into it once he completes his murder-mystery Knives Out, but he’ll return to the Star Wars universe soon. The Boba Fett movie might be off the table, but Johnson’s trilogy and David Benioff & D.B. Weiss’ series remain on the slate. Additionally, Abrams liked Johnson’s Last Jedi script and said he wouldn’t let the backlash influence Episode IX. Instead, Lucasfilm is looking to avoid another Solo situation. The spinoff, despite earning generally positive reviews, grossed a meager (by Star Wars standards) $392.8 million worldwide against a production budget that exceeded $250 million. Disney and Lucasfilm both deserve equal blame for mismanaging the film, which went through extensive reshoots after an unprecedented director switch late in production. 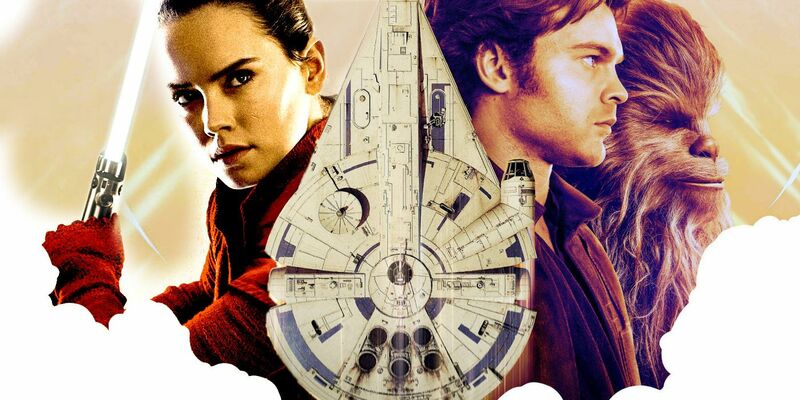 Disney reportedly refused to move Solo away from its highly-competitive May release date (where it opened in the shadow of Infinity War and Deadpool 2) and mangled the marketing campaign, which proved to be a terrible combination. With demand for a fresh tentpole nonexistent and general audiences not caring about the movie, Solo’s opening weekend was lower than noted disaster Justice League. Obviously, the goal with Episode IX is to show Solo’s figures were a fluke and people are still interested in Star Wars. It seems all but a guarantee Episode IX will fare better than Solo. For starters, Lucasfilm staked claim to the lucrative December window, which yielded phenomenal results for The Force Awakens, Rogue One, and The Last Jedi. Star Wars will once again go head-to-head with a Jumanji film, but odds are Episode IX will be another member of the $1 billion club. Plus, with Star Wars Celebration happening in April 2019, the stage is set for Lucasfilm to replicate the marketing campaigns for the previous two sequel trilogy installments, gradually building up hype over the course of eight months rather than cramming everything in at the last minute. The powers that be at Lucasfilm are certainly being smart about the way they handle Episode IX, learning the right lessons from their past mistakes. Hopefully, it’ll all work out.